If there is one thing I love almost as much as photography - it's hockey. And with the upcoming NHL All Star game this weekend, GoPro has teamed with the NHL to show us some POV style hockey from some of the best players in the world. The results are a surreal look into the outstanding talent that each professional hockey player processes on the ice. Released by GoPro this morning, the video above shows us what it's like to step into the skates of some of the worlds best hockey players. Using GoPro Hero4s strapped to helmets and players, they were able to capture the talents of each player that sometimes moves too quickly to catch live during a game. From intricate skating, to incredible puck handling, each player shows off their talents in a high speed awe inspiring look into what you can expect to see on Sunday at at 7pm EST for the NHL All Star Game. This is the first video of hopefully many, as GoPro recently signed a partnership agreement with the NHL to produce more videos in POV style. Perhaps in a few years, we'll expect to see hockey games in this very style, with POV cameras built into each player's helmets and broadcasted live. Am I the only one on here think this is actually AWESOME!!!? I live in Northern Mn where hockey is king. My nephew is coached by a former NHL player, and watching their games, 12-13 year old, amazes me. There passing and skating and stick handling is impressive. This video is fun to watch. Needs to be done in slow motion so you can see what they are actually doing. Awesome. 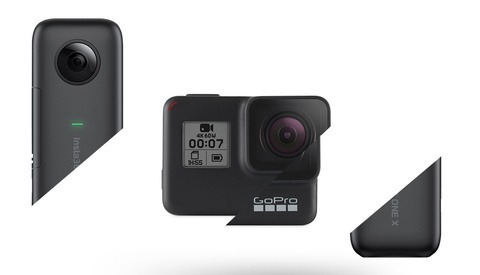 The NHL, NHLPA and GoPro just reached an agreement to use GoPro footage live in games. I cannot wait. Saw the teaser for this on the NHL instagram...good stuff. Makes me want to put a camera on my head when I lace up for my game this weekend. Awesome! But how do they do it? 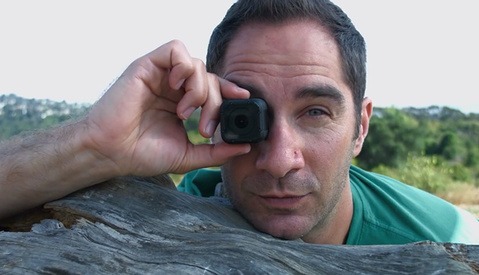 It looks like there's a gimbal on those GoPro's. It kind of looks like a helicopter blade, there's a gopro on one side and counterweights on the other. It's an awesome little gadget! I love hockey (and photography). Nice to watch.